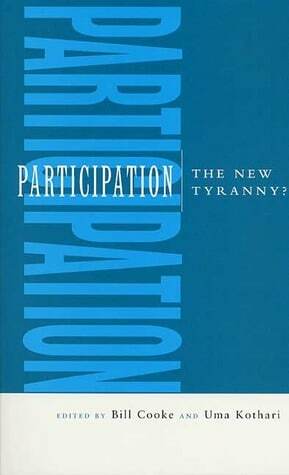 Participation: The New Tyranny? was so good. I so rarely find books on international development so good, Hamdi and Kaplan are maybe rare exceptions, but this raised so many of the real issues with participatory development and action. Above all, the way it has been stripped of its radical, emancipatory content and understandings of structural power (though interwoven here is more discussion of some of the micro-levels of power as well, what we internalize…). I would hope that we could now start discussions of community development with this book in mind and just build on it — whether international or home grown. I am still bemused at how little the two talk to each other, another enduring effect of racism and empire. Sadly, too, I was listening to a panel on international development all about co-production just a few weeks ago, and really ‘co-production’ is just this repackaged. You hear it all over the damn place these days. But no one there really spoke at this level of thinking, I don’t think they could have read it. They stumbled in this direction instead. Rather tragic. Tyranny of decision making and control – does it override existing legitimate decision-making processes? Tyranny of the group – do group dynamics lead to participatory decisions that reinforce the interests of the already powerful? These are the questions everyone should be checking their practice with, right? Especially when an ‘expert’ is coming into a new community they don’t perhaps fully understand, and where there is no trust. Exactly right. I thought perhaps I might stop here with the intro, that the case studies from around the world wouldn’t be as important. But they are amazing, and I am fascinated with their range, and how each of them illustrates one or another of the basic issues that arose for us working in LA, though of course with a richness all their own and very different specifics around the context and politics and the kind of requirements on funding (though somehow not that different) and the exact brand of prejudices development figures might be starting with. So. The chapters. Mosse describes participatory processes as particularly ‘subject to the effects of dominance’ because they are public, often with authority figures and outsiders present, and there is a lot at stake in controlling the outcomes. (19) He continues to look at how local hierarchies operate, how communities try to use the language of planning and work within a project framework and their understandings of both its limits (what solutions or resources are available) as well what kinds of action it considers to be legitimate, these can be manipulated to address what they feel are the real needs, though this may not be openly discussed. Because of course people do this, they aren’t stupid. What Mosse describes is how people manipulate a system to their own ends, but pf course the organizations facilitating that system are doing likewise — this process is used to legitimate and advance their own agenda and of course must quantify its successes, number its activities, justify its spending. It’s complicated. ‘Participatory’ does not always mean better. It can serve to advance technocracy and bureaucracy as much as to combat it. associated with both individual and class action, with the transformation of structures of subordination through radical changes…The model of ‘participation’ implied is of development practitioners working with poor people to struggle actively for change. The case studies presented here show the importance of long-term commitment to communities and to such relationships, the need for years — YEARS — of building trust and ‘walking and talking’ with communities. Of course, I say, of course it takes years. But it just needs to be repeated and repeated and repeated, because funders never like you to work this way. The article goes on to look at what discourse of participation says about those promoting it and why they might do so — it’s not pretty, because of course it emerges from the cold war, discourses of Western democracy. It is essentially designed to undercut more radical interpretations and participatory action and to wipe out any leanings towards revolt. No wonder a model is promoted that won’t work. This helps us move beyond patronizing attitudes, imagining resistance as only a subject outside of and against power structures. I too found that book really interesting. Sorry for the shameless plug here 🙂 but I published a book last year with the anthropology series at Pluto called ‘the limits of citizen power’. Cool! I have a stack of reading a mile high but I will stick it on there!